Taking ownership of your digital assets calls for an understanding of the size, scope, and importance of your digital footprint and how an estate executor will (or won’t) be able to locate and settle your digital estate. You need to know what the term “digital assets” means to understand why more than thirty states have introduced legislation in 2016 to address fiduciary access to digital assets. Ultimately, you want a digital estate plan that spells out how your digital property and digital assets should be settled after you pass on. Digital assets are electronic records in which you have a right or interest. Billions of personal electronic records are created everyday using email services, texting apps, word processing and spreadsheet software, financial software, smartphone cameras, social media networks, and online storage services. The digital asset is the actual data and not the device on which it is stored. For example, while most email messages are stored on a service provider’s equipment, the recipient owns the data (digital asset) but not the disk drives, computers, and network equipment used to maintain and distribute the messages. Most people create new digital assets everyday using their smartphone and computer. The low cost of digital data storage eliminates the need to delete digital assets which results in a lifetime’s accumulation of emails, texts, photos, videos, and documents across multiple devices and online services. 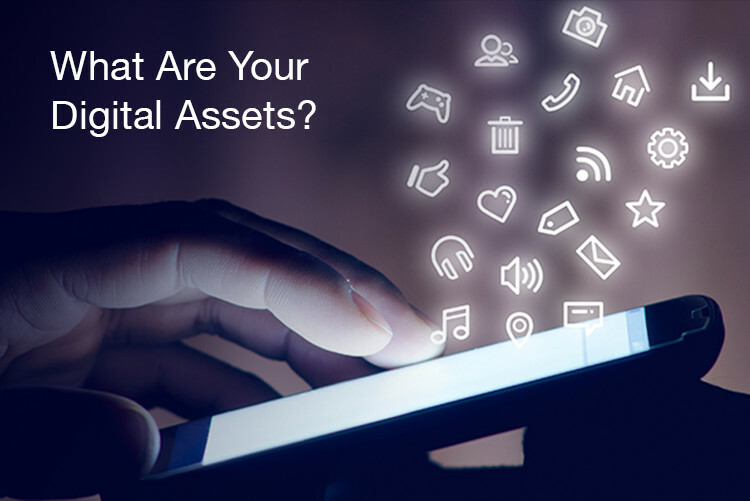 How many of these assets are part of your digital footprint? Asking the right questions is the critical first step in a digital estate assessment. The goal is to identify all of the ways you use digital technology and the need to plan ahead. An assessment provides a valuable starting point for discussions about your digital estate with trusted family members, estate executors, and professional estate planners and advisors. As expected, 2016 is the year that a majority of U.S. states will consider changes to state probate law to address personal digital assets. Fifteen states have enacted digital estate legislation including Florida, Arizona, Maryland, Michigan, and Washington. California, Illinois, New Jersey, New York, and Pennsylvania are among states likely to follow later in the year. Due to extensive lobbying by privacy groups and online service providers, most recent legislation requires that an account owner provide written authorization allowing an estate administrator access to digital assets stored with online services. Even with state legislation, a failure to provide an executor with proper authorization could block their access to or control of digital assets stored by online service providers. If you have an existing estate plan or plan to create one in the future, be sure to review your digital estate assessment with your estate planning professional. Your digital estate assessment provides you with a clear understanding of how much you use digital technology and the size of your digital footprint. Some assets may be of significance to your family. You may have identified other assets with monetary value. For celebrities and public figures most digital assets hold significant monetary value to the estate. There may be some digital assets you want deleted or destroyed once you’re gone. The only way to be sure your wishes are carried out is to include these assets in your end-of-life planning process.